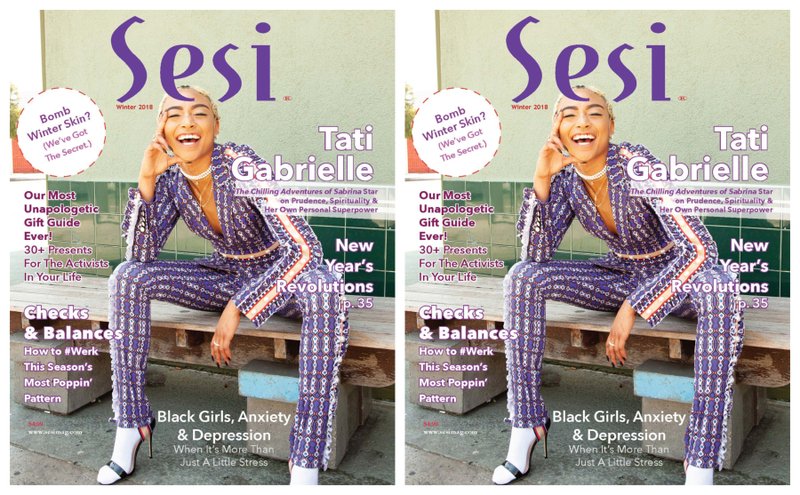 She may not have supernatural powers like her alter ego on Netflix’s new thriller the Chilling Adventures of Sabrina, but our latest cover girl Tati Gabrielle does have something potentially even fiercer — the gift of storytelling. In our winter issue, she weaves the tale of her own dreams chased, a destiny fulfilling, and a legacy yet to come. Take a look at the cover below and subscribe to get yours. This issue also hits newsstands at Barnes & Noble stores on 12/7.